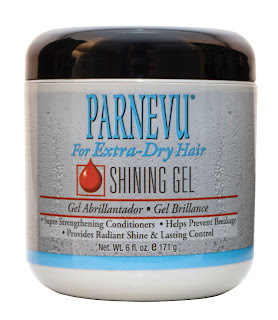 Parnevu For Extra Dry Hair Review & Giveaway! I have difficult hair. It’s curly, thick and coarse. Styling it and keeping it healthy is a challenge at the best of times. This time of year, smack dab in the middle of winter, makes for some bad hair days. I’ve tried what seems like a million products to manage my hair. 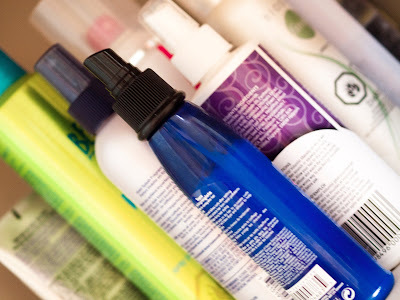 I have shelves filled with bottles of hair miracles that seldom do what they promise. That is just a very small sampling of the lotions and potions that I’ve purchased in my never ending quest to tame my locks. I keep trying to find that magical product or products that will get the job done. So, it really is no surprise that I was excited to try a line of products that sounded promising! Parnevu makes two lines of hair care products – T-Tree which are uniquely formulated to promote growth, prevent hair breakage, repair split ends, and eliminate dry scalp, leaving you hair healthy, vibrant and strong – and Extra-Dry Hair which is exactly what I need. My hair is pretty healthy overall but, like most curly hair, it tends to be quite dry and requires extra moisture to maintain and enhance the natural curl. I received the Parnevu Extra-Dry Hair Salon Shampoo, After Shampoo Conditioner and Shining Gel to try out. As you can see, it is pretty thick and coarse. I have a lot of natural curl but when my hair is dry that curl turns to frizz and it nearly impossible to do anything with. I know there are tons of products out there marketed at “moisturizing” or for “dry hair” but it can be tricky. Many of them are filled with silicons and other products that weigh my curls down and cause some pretty nasty build up. 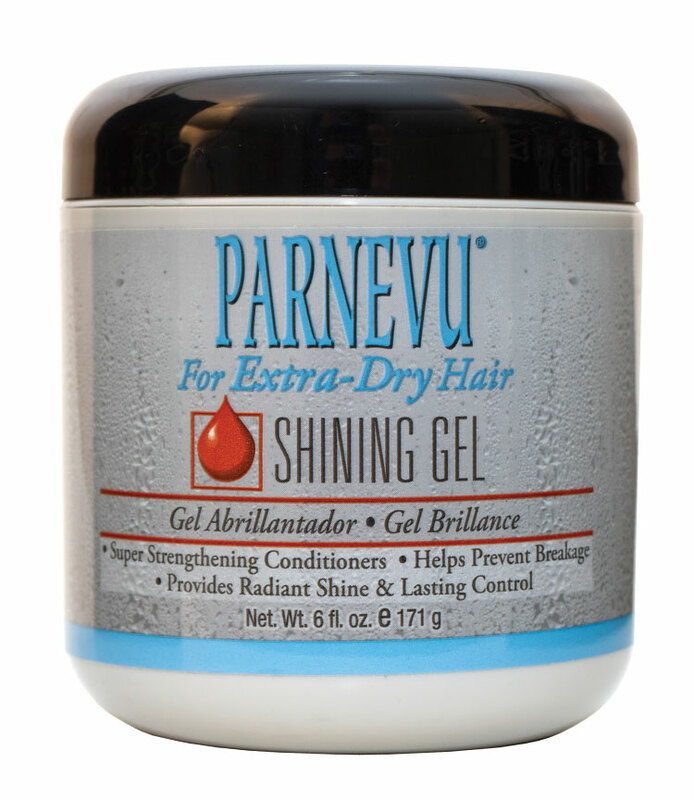 I was anxious to find out what the Parnevu for Extra-Dry hair could do for my tricky hair. The first test for me, as it is with any new product, was the fragrance. I have bad allergies and am extremely sensitive to fragrances. I was really pleased to discover that the Parnevu products were not going to cause me any problems. They are not heavily scented but have a pleasant, light fragrance. 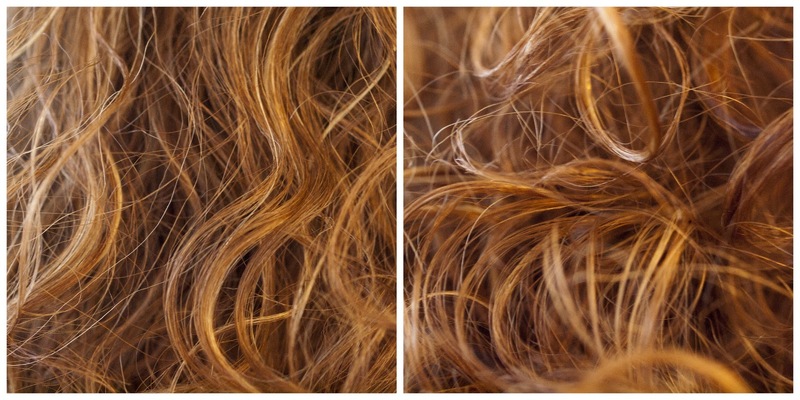 I would compare it to other salon quality products that I’ve experienced when getting my hair done at a high end salon. The shampoo does a great job. Even with all of the styling products in my hair it lathers well and I’ve never had to use more than one lather when washing my hair. The conditioner is just the perfect consistency. It’s not that runny stuff that has slid off your wet hand before you even get it in your hair and it’s not the extra thick goop that you need to use a mountain of to cover your whole head. The only issue I had with the conditioner is that it just didn’t quite detangle enough on it’s own for my knotty hair. That really isn’t surprising, I find that with the majority of conditioners that I use. That’s why I have a bottle of leave in detangler handy at all times. Now Parnevu does make a leave in conditioner that might very well do the trick but for now a light spray of detangler along with the conditioner works very well. I was a little surprised when I first opened the Shining Gel. It wasn’t the consistency I was use to seeing with hair gel. The Shining Gel is very thick and at first seems more like the hair putty that my husband would use. I was a little worried about this weighing my hair down which is a big no no for curls. However, as soon as I began rubbing it into the palms of my hands and into my hair I became less apprehensive about using it. 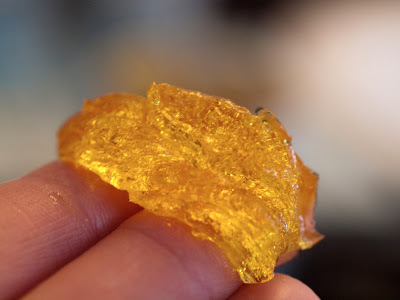 It’s not sticky at all and once you work it in your hands a bit it goes on really easily. 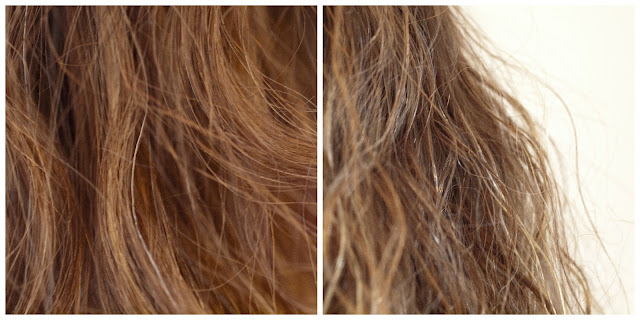 The Shining Gel is much more than just a styling gel. Besides giving you great control, it is full of conditioners that leave your hair healthy, strong and with a really nice shine. And, a little bonus that I’ve discovered, it’s great for your hands too! After I’ve applied it to my hair my hands feel soft and it’s wonderful for moisturizing rough cuticles. I think the pictures speak for themselves. After using the Parnevu Extra-Dry hair products my curl was restored and my hair has load of shine. I still use my go to curl enhancing product after washing (before putting in the gel) but that is an absolute must for me no matter what other products I use. Overall my hair feels healthy and is definitely more moisturized. I’ve also noticed a pretty significant reduction in split ends. It takes a lot of heat to style my hair if I decide to straighten it or use a curling iron so split ends are always a concern. 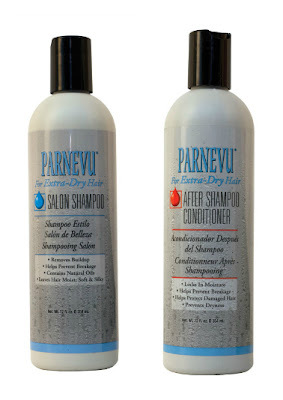 If you would like to learn more about Parnevu and check out these products as well as their entire line (it’s quite extensive) or place an order then be sure to visit their website. You can also connect with Parnevu on Facebook and Twitter! Terms: Open to Canadian and US residents over the age of 18. One entry (except for the additional entry options) per household. No PO box numbers please. I was given products in order to review them for this post. The opinions here are honest and 100% my own.